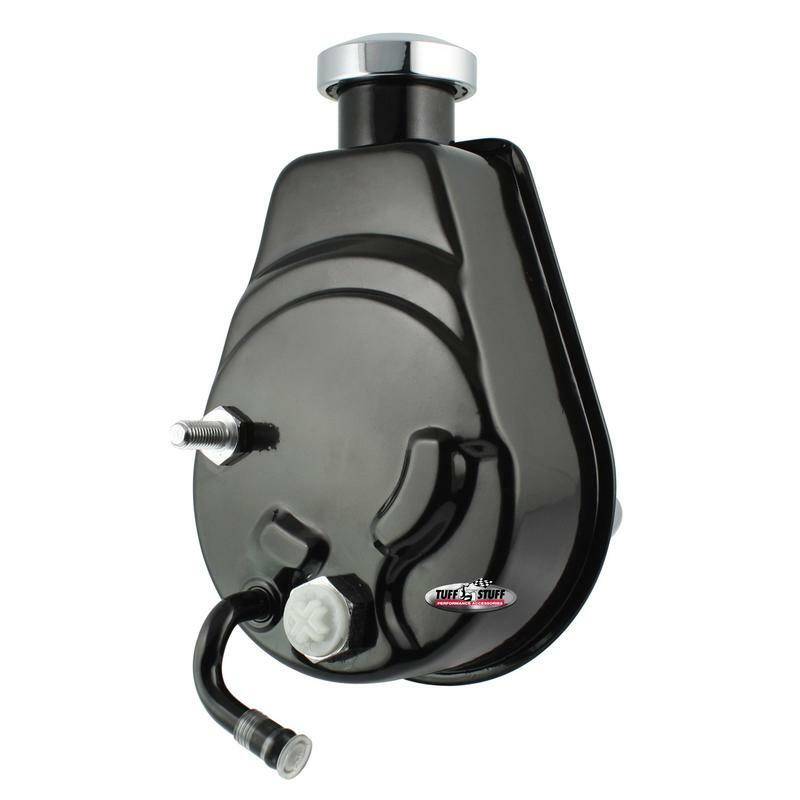 Our GM Saginaw style pump features all new components including reservoir and pump assembly. Includes billet chrome cap, new dipstick and hardware. Pumps are 1200 PSI rated to work with most gearbox systems, 850 PSI valve available for Mustang II rack and pinion available upon request. Our Type II compact size pump is ideal for tight installations. For use with factory or remote reservoir tank depending upon part number. Pumps are rated at 1200 PSI rating, 850 PSI valve available upon request. Perfect for street rods and custom vehicles with limited engine space. Pumps are available in chrome plated, various colors and plain, as cast finishes.